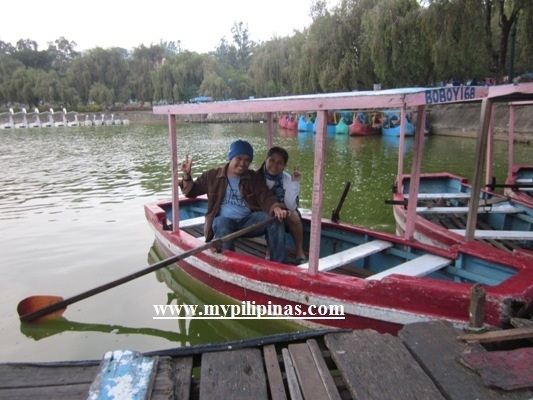 For those of you who want a piece of the historical Baguio, Burnham Park is probably a first destination. The reason is perhaps because it is located right in the heart of the city center and is just a few minutes walk from the different bus terminals and stations where tourists coming in from Manila disembark. First time me and my wife came to Baguio, we arrived a little before 5:00 AM which is too early to book a hotel reservation. We were not able to secure an early booking because we didn't know it was hard to find a hotel when you get there. If this is your case, your best option is to find a taxi driver and ask. These drivers would sometimes get a little commission by referring lost tourists in the city caught up without a hotel or transient house booking. Another choice is to go to nearby tourism center where you can find a few guides or private car drivers willing to take you to the nearest hotel. You can ask for the lowest price or the nearest one in the vicinity of the different tourist attractions in the city. 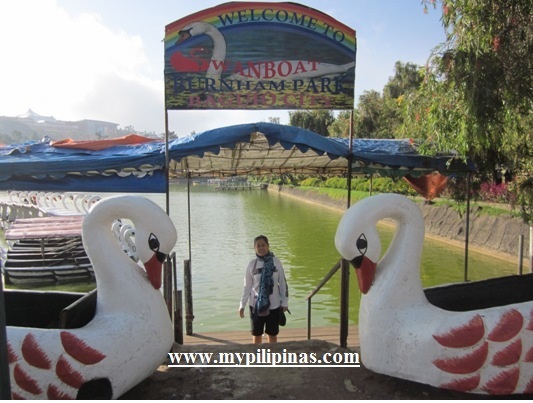 The name Burnham Park in Baguio actually came from an American architect and urban planner who first designed the park. His name is Daniel Hudson Burnham and today, we attribute this tourist spot in memory of him. It is found right in the heart of Baguio City, Philippines, it is actually designed as a recreational center for the United States Armed Forces. At the center of the park is where you can find today, a man-made lake or lagoon where boats are abound and can be rented for fun and recreation. Originally, it had some smooth cement at the Southernmost part intended as a skating rink. Today, the side streets are already filled with garden roses, plants and flowering trees where you can see occasionally, a tai chi sessions (see pictures here) going on in the early morning mist combined with joggers. Bicycles are now also present at the park and you can rent them at Php 30.00 pesos for 1 hour while a bike with side car is a bit more costly at Php 45.00. 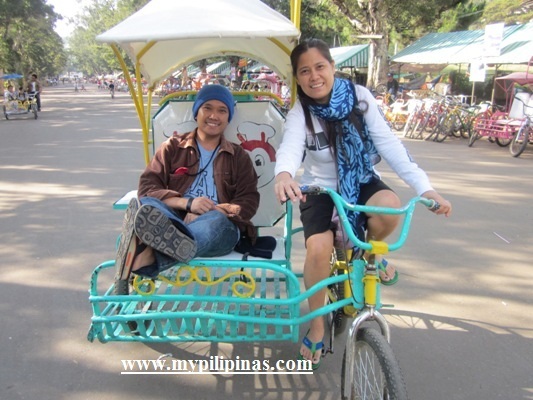 You can see our family pictures above where me and my wife, Ana is riding a bike roaming around Burnham Park. It's a breeze to reach Burnham Park in Baguio and you never really even have to get a map or see directions for commute online. We're sharing simple ways for you from our latest family adventure. Here's a few steps you can do to reach it so you can go boating or biking around and hire a lagoon boat for only Php 150.00 pesos for 1 hour or a bicycle for Php 30.00 pesos per hour. Do also check our official map guide which we always do here, taking it from Google Maps and posted below all our Philippines travel articles. Hire a taxi and tell the driver to drop you off at the nearest allowed point to the park. Taxis are not allowed inside the vicinity streets. You will never miss it this way. A taxi ride would probably cost you just Php 50.00 if you are staying in any of the cheap Baguio transient house or hotels around. 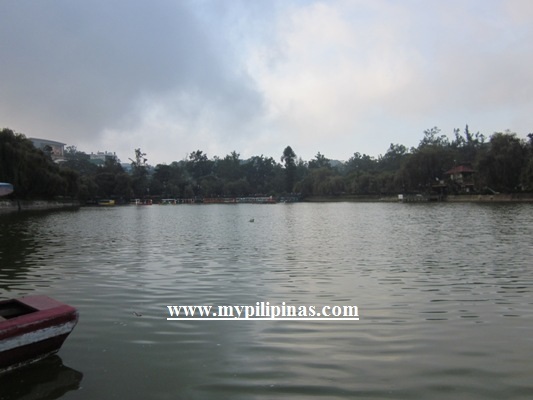 The City of Pines is too small that you won't have to spend so much trying to reach the most popular, most visited and easiest to find tourist spots in Baguio like Burnham Park. How nice and enjoyable it is to rent a bicycle and roam around to take out some body fats in a cardio-vascular exercise biking in the side streets of Burnham. Taking pictures is obviously one of the best things you can do at the park. There are photographers offering cheap rates who will approach you to have your picture taken on their lens if you were not able to bring your own camera with you and you want to catch memories in a framed photo. At the Eastern part of the park is where you can find a large vacant space previously known as a skating rink. It is a place where the Panagbenga Festival sometimes start the parade of floats filled with flowers in the month-long festivity in Baguio. The pictures you can see above are all taken at the Burnham park. Today, 2013, the center is undergoing construction while above along the ever popular Session Road lies the stairs to Baguio Cathedral. The park flowers are not visible to the public yet, as well as the tai-chi and whole jogging venue but the biking area is there and you can enjoy an hour going around. Lagoon picture was taken late in the afternoon so you can see fog starting to cover the sky while the flowers can be seen all over the park lagoon sides. 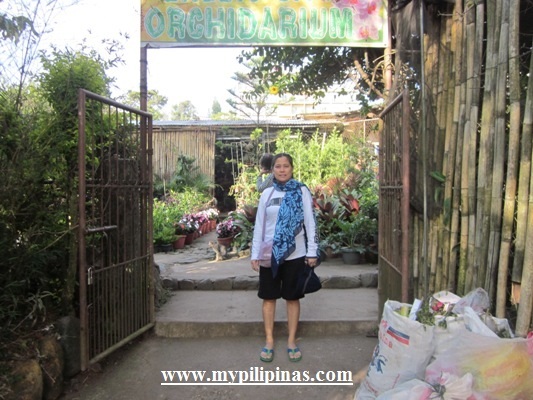 The orchidarium, which very few would notice and know is just adjacent a corner at the park where you can see Chowking fastfood restaurant. 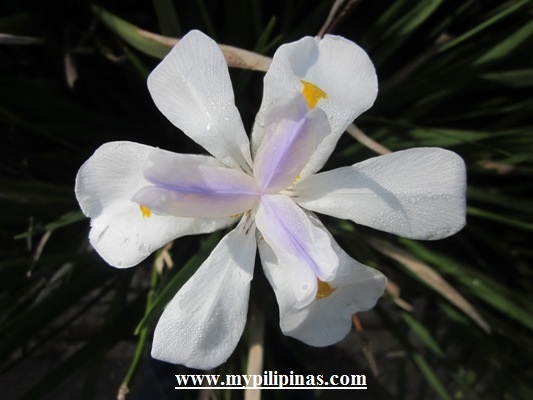 Inside the orchid center are varieties of flowering plants that you can buy for cheap prices. A complete Baguio tour according to the tourism center near Victory Liner bus terminal would cost you Php 2,500 for all the vicinity tourist spots visit (not including Strawberry Farm and Bell Church). This will be a taxi ride for the whole day where you can take your time taking pictures along each tour itinerary. You can ask for more information about the tour offer at the center. 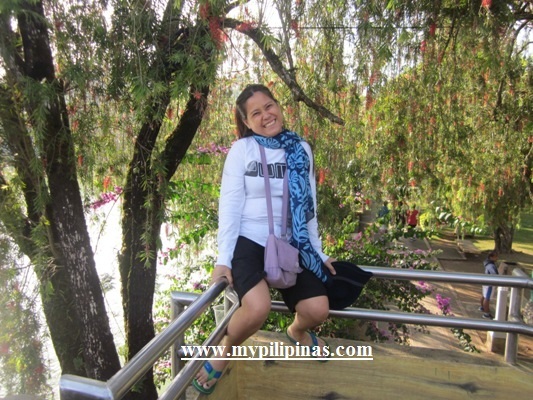 If you want to see a virtual map of Burnham Park and know how to get there easily and have access to the internet with your mobile phone or laptop with mobile GPS tracking system installed, the map below will be your guide.